Home › Answers to Relationship Questions › Key Tips for Dating: How Does Money Impact Dating? Key Tips for Dating: How Does Money Impact Dating? One of the many services I offer to my clients is a monthly telegathering. During one of these recent calls, we discussed money and dating and, more specifically, how income levels affect dating practices. Money is a big determinant in the kinds of things you can do on a date. Someone with a solid income will probably be more willing and able to spend a greater amount of money than someone who is trying to get on solid financial footing. And so, one of my tips for dating is to do your planning! If you are paying for the date, know what you can comfortably afford to spend on a date and plan accordingly. It is okay if you don’t have a lot to spend: there are many affordable options out there! Consider playing miniature golf, attending a free outdoor concert, visiting your botanical gardens, taking a leisurely walk in a park or a rowing a boat for romantic date! Don’t forget to bring the wine! Another tip for dating is to be sure to consider your date and his or her financial situation. If they struggle to make ends meet, will they be comfortable with a large, over-the-top date? Or will they be more comfortable at a free concert with a picnic? One of my clients met a woman he really liked and he very much wanted to impress her. So, he took her out to a very nice dinner and a show. He spared no expense and that can be overwhelming. I think his strategy backfired on him a lot because he did not consider his date and her comfort level. This varies from person to person, which is why my tips for dating include that both people needs to be involved with the date planning. When planning a date, you can suggest two or three possible activities and ask your date which one she is most interested in. She will surely appreciate you asking for her input and the leg work you have done! Have fun planning your budget conscious date! 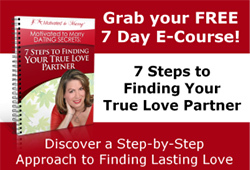 ‹ KEY DATING TIPS FOR MEN AND WOMEN: WHO PAYS FOR THE FIRST DATE? Wow, superb weblog format! How long have you ever been blogging for? you made blogging look easy. The full look of your site is excellent, let alone the content! It¡¦s actually a great and helpful piece of information. I am satisfied that you shared this useful info with us. Please keep us informed like this. Thank you for sharing.